Baguio City has always been a favorite summer destination in the Philippines because of its cool climate. But for the members of KIDS Club and Silid Aralan, Inc. (SAI), it will always be a special place for us. It is in Baguio where we established our first DREAM Hub! 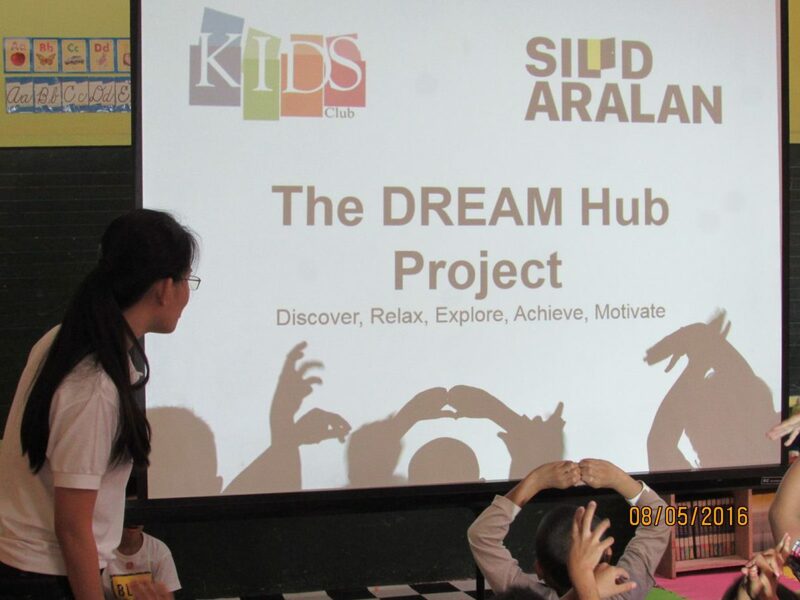 Last Saturday, KIDS Club and Silid Aralan opened the DREAM Hub at Camp 7 Elementary School together with our local partner, the University of the Cordilleras (UC). 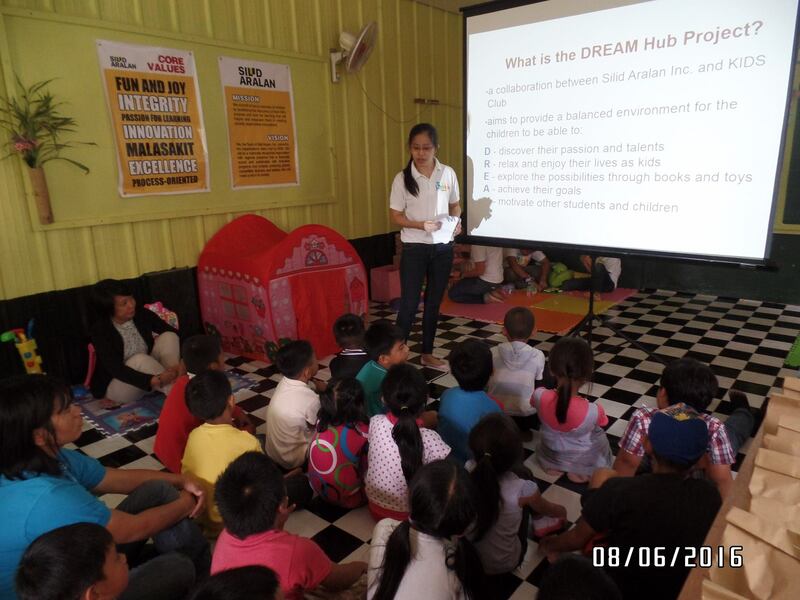 The DREAM Hub aims to provide a balanced learning environment for the low-performing students of Camp 7. Through the hub, we hope that the children would be able to discover their potentials; relax and enjoy; achieve their goals; and motivate their fellow students. Straight from work on Friday night, the KIDS Club members took the bus going to Baguio. The following morning upon reaching the city, they met with Silid Aralan Chair and CEO Arcie Mallari. With him is Mr. Aries Burgonio, the new SAI Project Leader. 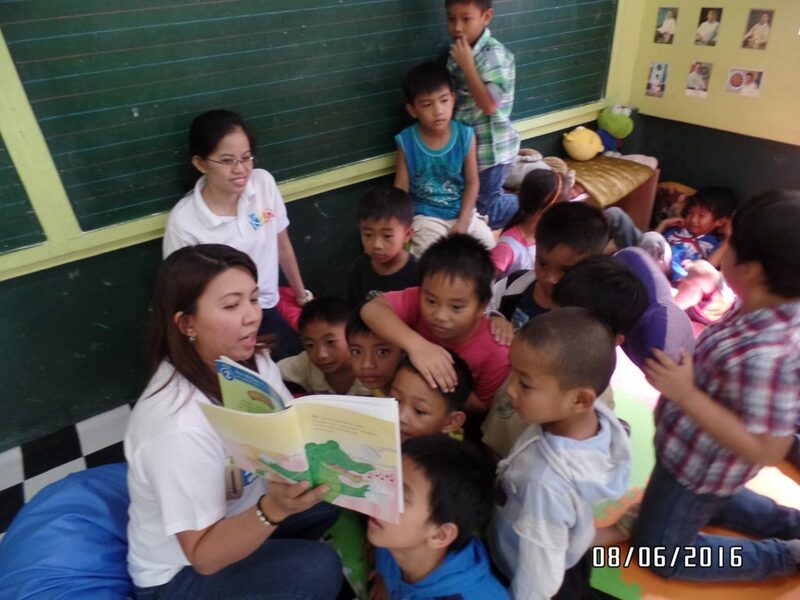 They first went to the University of the Cordilleras to meet the local partners and to retrieve the boxes of toys and books which was sent earlier. The team headed to Camp 7 Elementary School and was welcomed with smiles and excited faces of the children, parents, and teachers. While the parents and students were busy with their registration, KIDS Club members and student volunteers from UC worked together to arrange the shelves, books, toys and other things inside the hub. Immediately after the room was finished, the soft launch of the DREAM Hub followed. The programme started with a ribbon-cutting ceremony headed by Dr. Caridad Pagaduan, Dean of the College of Teacher Education, University of the Cordilleras. 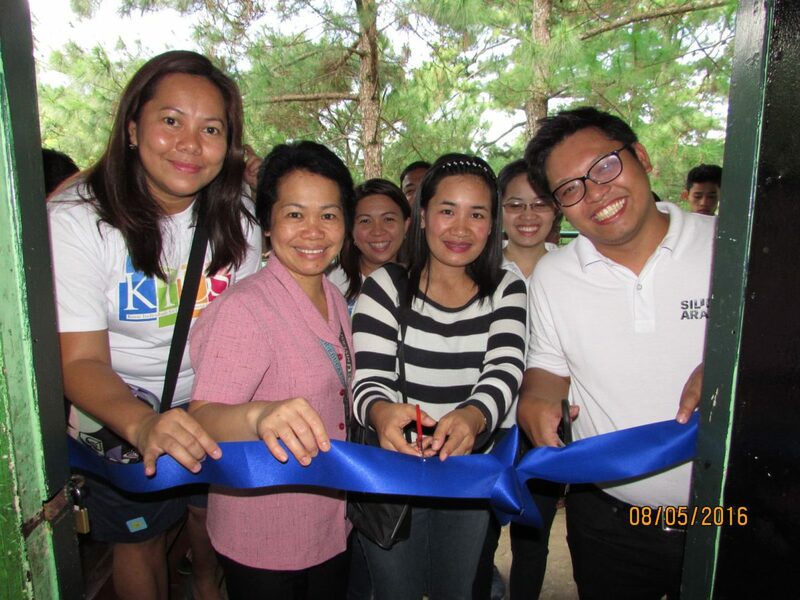 Ribbon Cutting Ceremony with Representatives from KIDS Club, the University of the Cordilleras, Camp 7 Elementary School, and Silid Aralan, Inc.
After that, SAI conducted a brief orientation for the parents and volunteers about Silid Aralan and the DREAM Hub Project. On the other hand, KIDS Club spent some fun time with the students through storytelling, playing, and clay art. Before closing the day’s event, all who were present expressed their commitment to support and help maintain the hub through hand stamping. The Commitment Banner will be placed inside the Hub to remind the students and other users to take care of the DREAM Hub and all the things inside it. From the members of KIDS Club and our partners (Silid Aralan Inc., Camp 7 Elementary School, and the University of the Cordilleras), thank you very much for helping us make this project a success!! Thank you for all the support!!! 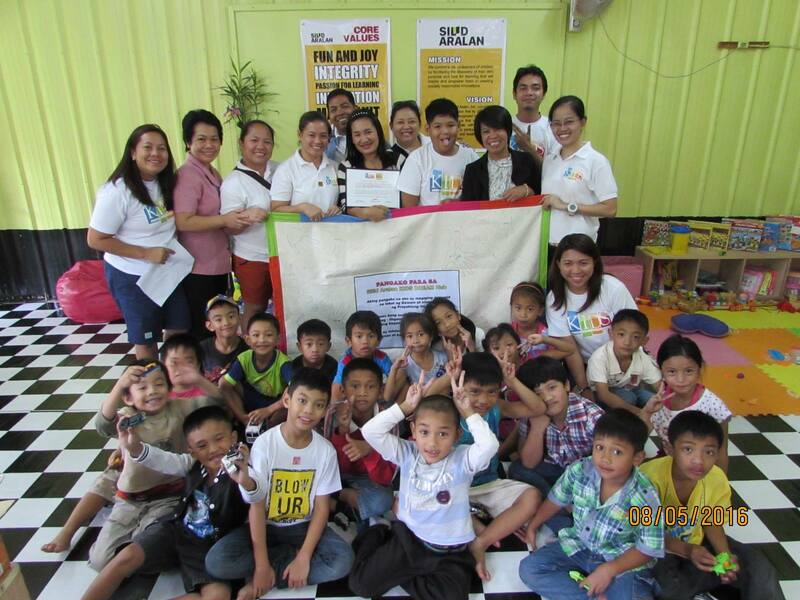 ← Silid Aralan KIDS Foldscope Club: The First in the Philippines!